CHLOE Molloy is relishing the opportunity to rediscover her love of football after having to give it up at the start of high school. The Victorian basketballer won gold representing her state at last month’s Under 20s National Championships, but Molloy will now trade in her green and gold for navy blue and orange. The versatile utility will line up for the Calder Cannons in the inaugural TAC Cup Girls’ competition which – aside from the standalone Bushrangers and Pioneers game – begins on March 18. Molloy, like many young girls, chased the dream of playing at the elite level and without a proper pathway through her chosen sport, elected to play basketball instead. Now Molloy has the chance she never got as a teenager, but it is a bittersweet choice to say goodbye to the sport that saw her play at national level. Her love for football won out, but even then she had to make the Cannons’ squad, something she was not sure she could do given the amount of experienced talent that was running around competing for a list place. “I could kick a drop punt but I wasn’t sure how I fitted in… but the girls have welcomed me and I’ve fitted in perfectly,” she said. Now Molloy, who considers herself a mid/forward who can also play in defence, wants to follow in the footsteps of Cannons’ mentor Alicia Eva. The Collingwood mid/forward shone brightly last weekend, booting a goal after making up ground on her Fremantle opponents and helping the Magpies keep their slim grand final chances alive. 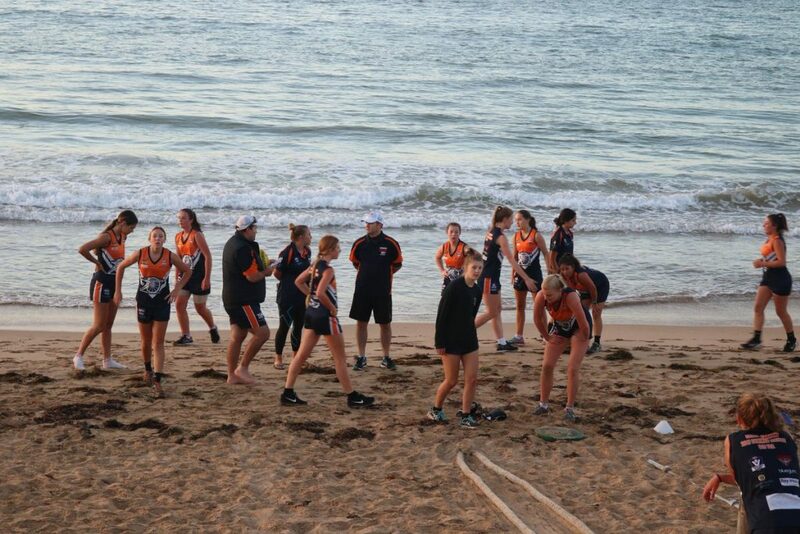 Calder Cannons’ girls coach Jason Peak said it was a new experience for many of the players who had not had the opportunity to join the junior pathway with limited games last year with a few clubs taking part in the Girls Academy program. Peak named Molloy, Monique Conti, Madison Prespakis, Georgia Patrikios and Felicity Theodore as some of the Cannons to watch in the five-round season. Calder will kick off its season on Sunday, March 19 against Gippsland Power at Frankston Oval before a double header with the boys’ side at Rams Arena the following Friday.